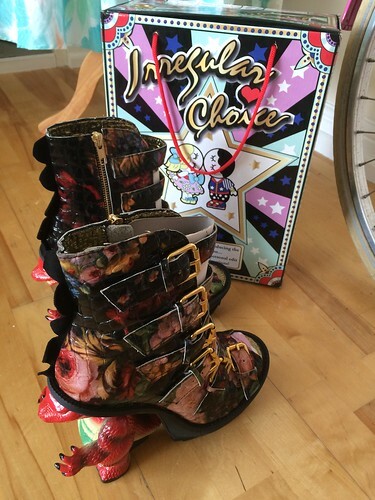 t*rexes and tiaras: Sunday Shoes 075: Irregular Choice Roarsum..
Oh. My. Goodness. 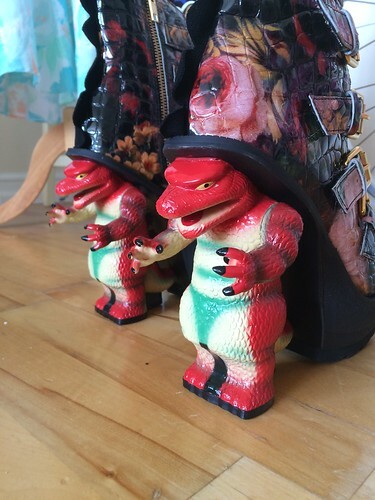 I think that if you looked inside my head at any point, this is the exact pair of shoes Imaginary Me would be wearing to go about my daily business. High heels: check. Floral print: check. DINOSAURS: check. Frankly, they're amazing. And I can't wait to wear them. The dinosaur reminds me a little of Reptar from The Rugrats. 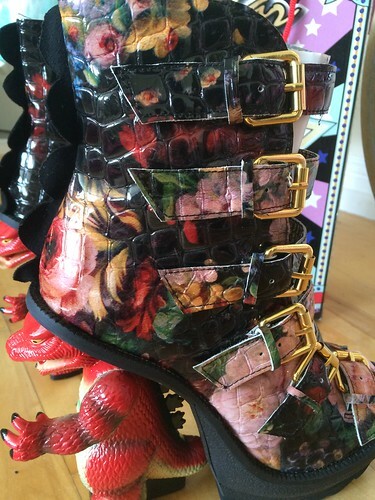 What would your imaginary self wear? They are the DUDES of the shoe world! I love the fact they are so crazy and yet so cute at the same time. Haha, I thought that as soon as I saw them.